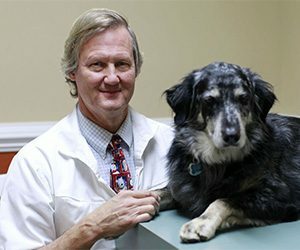 The veterinarians at Old Dominion Animal Hospital have been selected because of their talent, compassion, and dedication to providing the best care for the animals they see. All our doctors practice preventive medicine, general surgery, dentistry, advanced and critical patient care. You would expect nothing less from one of the area’s leading veterinary hospitals, and it is our goal to meet those standards. Our veterinarians are also encouraged to follow their own “special interests” in other aspects of veterinary medicine. This allows them not only to keep up their skills but also to learn the latest in care and treatment so that you have the most up-to-date knowledge available. The veterinary community is always changing and improving, so we strive to keep our veterinarians and staff competitive. We provide continuing education opportunities for our veterinarians and all of our veterinary members to keep their knowledge and skill level as high as possible. Our efforts to keep our staff well trained and current ensures that they can offer you the best and latest quality pet services. Our veterinarians are more than just talented and well educated. They are also wonderful, compassionate people who can help you understand your pet’s health concerns. Our doctors know how to help you navigate specialists and determine the best treatment. Many of our clients have begun friendships with our doctors! Take a moment to get to know our Veterinarians!